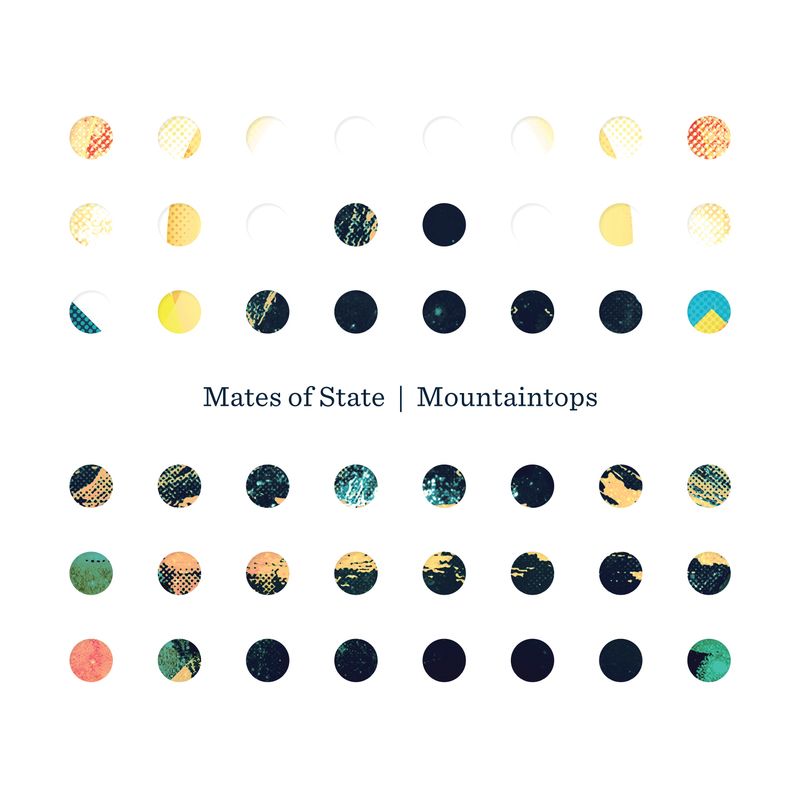 Atlas and the Anchor: Mates Of State - "Mountaintops"
Indie-pop veterans Mates Of State return with Mountaintops, their first album of new material in four years and seventh overall, out today on Barsuk Records. The duo of Jason and Kori self-produced the new album for the first time, owning and honing every aspect of their music to showcase their evolution into an unstoppable, undeniable pop machine over the last decade. Again touches of guitar, trumpets and electronic beats find their way into the mix but the spotlight remains on their effortless vocal harmonies and organ and drums set-up. The album opens with the joyful and sugary “Palomino” which brings the energy right from the start. The album’s excellent first single “Maracas” features some seriously warped synths set to a rhythm driven by the song’s namesake and a sing-along chorus. The bouncing and delightful “Sway” features chiming bells and a cameo by the couple’s daughter, Magnolia, near the end of the song as she gleefully squeals, mimicking the strange synths employed on the stand out track. The bittersweet “Unless I’m Led” is a mid-tempo ballad with soaring vocal melodies and an infectious chorus. Another fun, stand out track, “Total Serendipity” is a handclap and horn-filled Motown-inspired rave up with lyrics that look back on the beginning of their relationship. “Basement Money” best spotlights Jason and Kori’s harmonious harmonies over spacey synths and another buoyant, energetic rhythm. An electric guitar is introduced to the steady, hip-shaking beat and shimmering synths on “At Least I Have You”, giving the song a dizzying quality even before the blissful refrain of repeated “la, la, la, la’s” takes over. And “Desire” follows with more guitar as a cyclical acoustic guitar and clicking percussion combine with swelling synths and horns on the sweet ballad. “Changes” features a rafters-reaching chorus and a touch of Bowie-esque glam on the 70’s-inspired track. 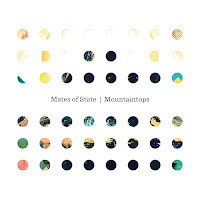 And the album closes with the piano-led and classic Mates of State sounding “Mistakes”. After slightly “rearranging” their sound on 2008’s Re-Arrange Us, which was a more piano-driven and solemn affair by Mates of State standards, they bring the exuberant energy back in spades on Mountaintops.